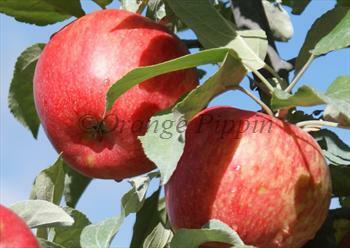 Honeycrisp is a very attractive high quality dessert apple with a predominantly sweet flavour. It lives up to its name - it is a remarkably crisp apple and we think is one of the best new apples of the late 20th century. Unusually for a modern American apple, Honeycrisp has some balancing acidity to its flavour that will appeal to European tastes. If you like a crisp, light-textured apple with a sweet but tangy flavour, Honeycrisp is worth a try. The apples are medium-to-large in size, with a light green/yellow background largely covered with red-orange flush occasionally with a hint of pink. They keep well in storage, and retain their crispness. Honeycrisp is also highly disease-resistant, making it a good choice for organic growers. Please fill in the details below and we will let you know when Honeycrisp apple trees are back in stock. Delivery period: Trees are delivered between November and March. However it is best to order as soon as you can to ensure items are reserved for you. If you live in an area with very cold winters please let us know so that we can scheduled delivery for early spring. *Mature size: Height shown is the approximate height of the tree when mature (after 5-10 years), not the height when supplied. Actual mature heights may vary considerably dependent on your local conditions and training and pruning regime. Gardening skill: Suitable for beginners? Cedar apple rust: Some susceptibility? Cold hardiness: -40F / -40C? 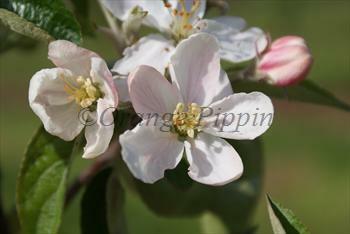 Honeycrisp is in flowering group 4. Honeycrisp is self-sterile and needs to be pollinated by another tree of a different variety nearby. Honeycrisp is considered one of the most disease-resistant modern apples in the USA. Our first UK trials were in the dreadful rain-soaked 2012 season, and Honeycrisp sailed through with a heavy crop of high quality apples which looked and tasted just like US-grown ones. The only blemish on its record in the UK is a suspectibility to mildew, which might worry commercial growers but is not likely to be an issue for gardeners. Honeycrisp was also developed to withstand the cold winters of North America - Canadian researchers have found it can survive temperatures as low as -35C - so it is quite at home throughout the UK and potentially a good choice for very cold situations. Having said that, we think it probably grows better in areas with reasonable amounts of sunshine. It is a good idea to let Honeycrisp trees reach their full size before allowing cropping to begin, so remove any fruitlets that might form in the early years. Honeycrisp was introduced in the 1990s by the University of Minnesota. It is related to Keepsake and more distantly to Northern Spy, a traditional American cold-hard apple variety. The apples are sometimes available in European supermarkets as Honeycrunch.